I was initially impressed with the build quality of the helmet. Very comfortable and it comes well appointed with features for the price! All other features are working as intended and I love this helmet. Additionally I picked up a mirrored visor and it is awesome with the black matte helmet. I will buy Pilot again in spite of the vent rattle! Love the helmet, my only problem is that it fits so tight. I'm hoping my use, I will get it broken in. Astounding for the price. Comfortable and well ventilated. Noise level is average. This is my favorite hundred dollar helmet ever! Just a couple notes. The value for money of this helmet is incredible! The feature set, the safety, and the build quality are very good. 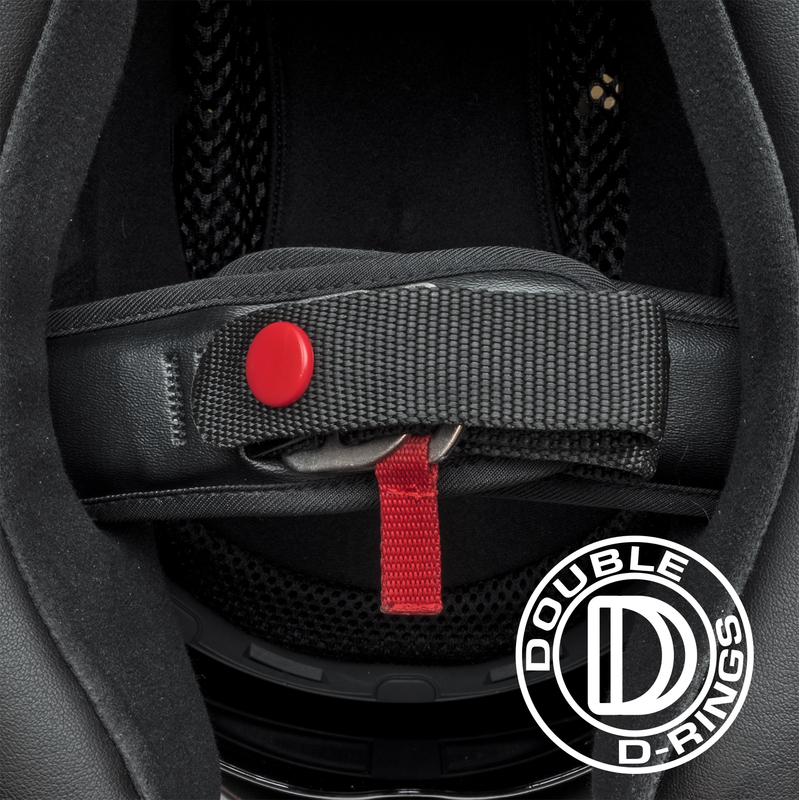 Padding is not as plush as more expensive helmets, but can be overlooked for the price. 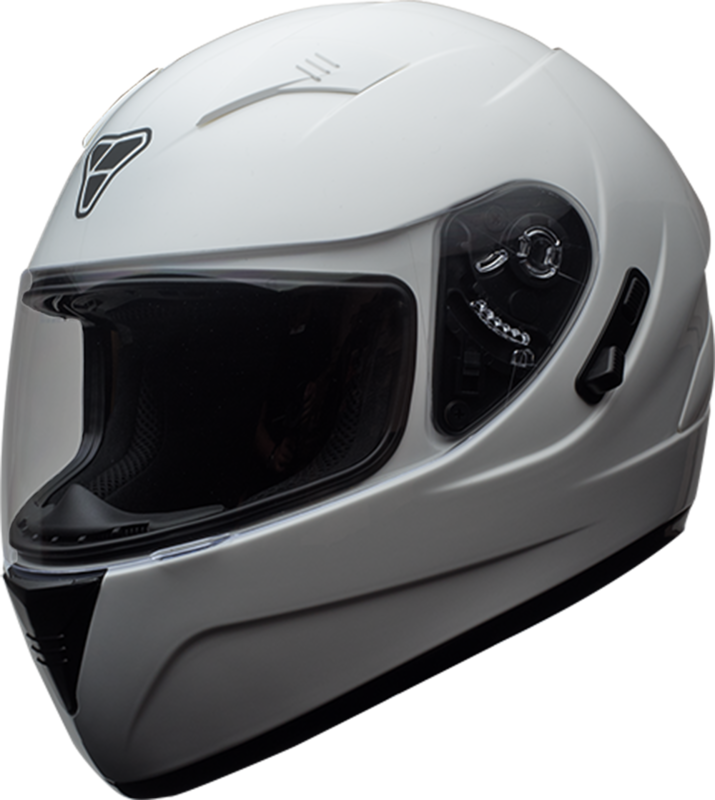 My previous helmet had whistles and I could hardly tell if the vents were opened or closed - these are not issues with the ST-17; no rattles, squeaks or whistles, and very good ventilation. I highly recommend this helmet if you are on a budget and want a solid product to keep your head safe on the road. When we set out to make a helmet we knew we wanted to offer something more than what had come to be the standard in affordable helmets. We wanted a helmet that looked good, met both DOT and ECE safety standards, was constructed of quality materials both in and out and came in at a price point everyone could afford. 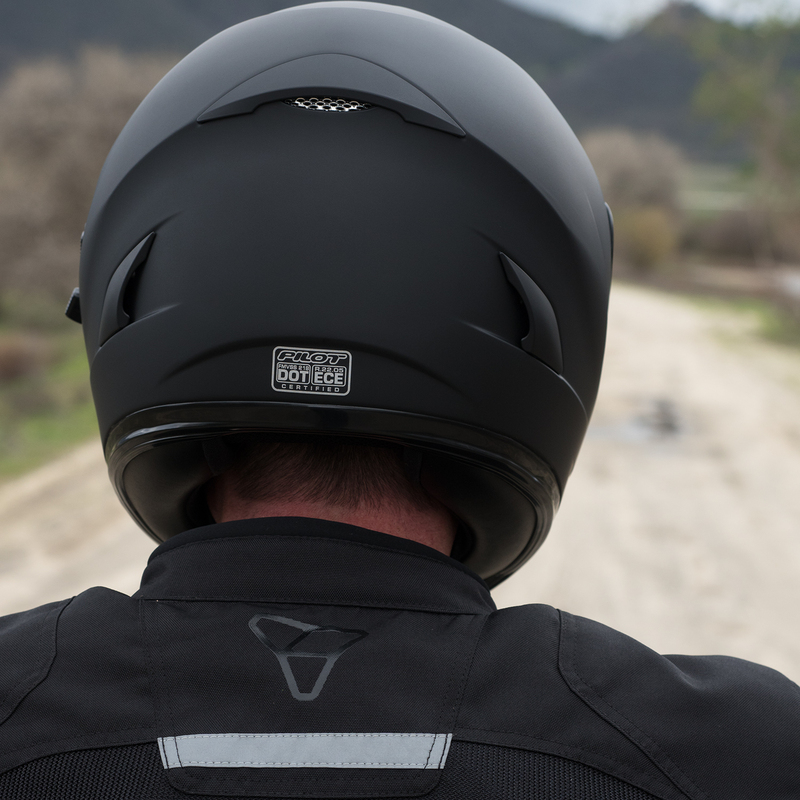 Ultimately we feel we've created a helmet that punches above its weight class in terms of features, functionality and quality of construction. Your helmet is the most important piece of safety gear you'll buy. It's crucial to hold it to a high standard. The ST-17 is both DOT FMVSS 218 and ECE R.22.05 Certified. Making it not only safe for the street, but approved for track use by every major racing organization the world over. 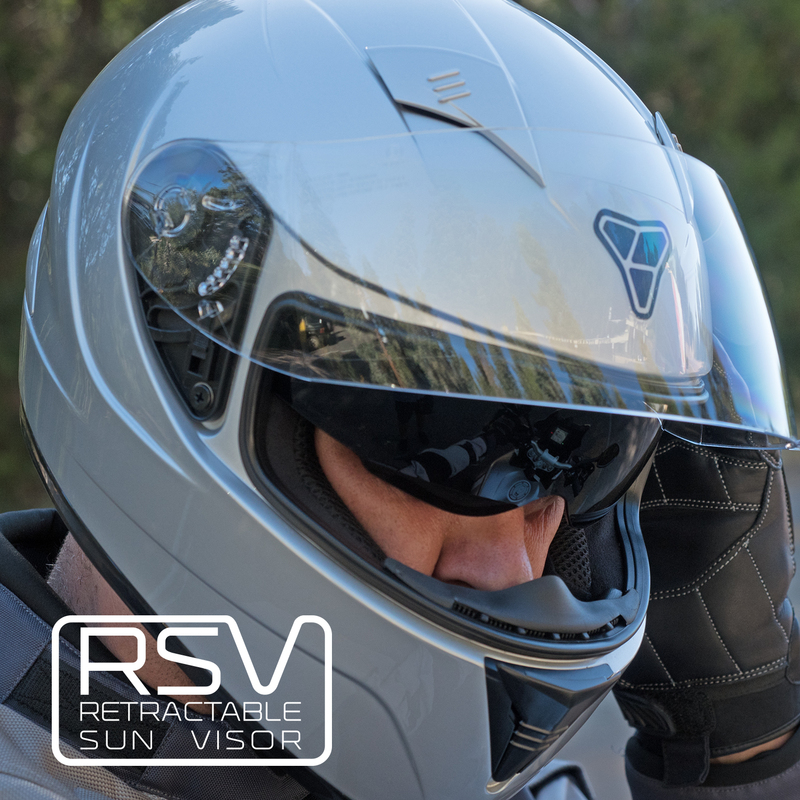 The RSV system in the ST-17 allows you to quickly deploy a retractable tinted polycarbonate sun visor with the push of a button. Sunset rides and early mornings no longer require you to pack along an extra tinted visor, or sunglasses. 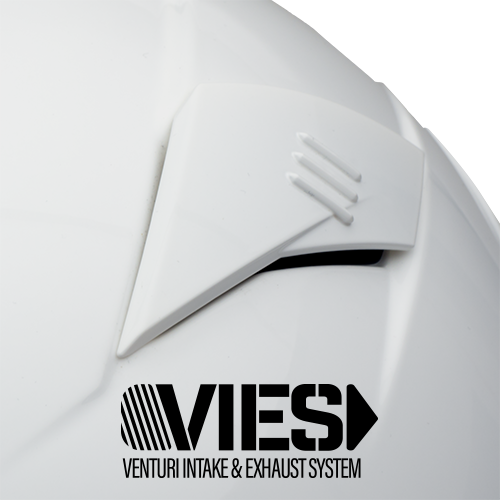 The VIES system in the ST-17 employs three opening and closing intake vents. Two above the helmet's eye port and one on the chin bar. All of which can be opened or closed to adjust airflow. To vent the helmet, there are three exhaust ports, two on the lower back and one in the upper middle keep a constant flow of fresh air flowing. D-Ring closures have proven themselves to be the gold standard when it comes to simplicity, durability and safety. The ST-17 features a double D-Ring closure system with a snap in order to secure the excess strap. We feel this system makes great sense and is still the best method of securing a helmet. 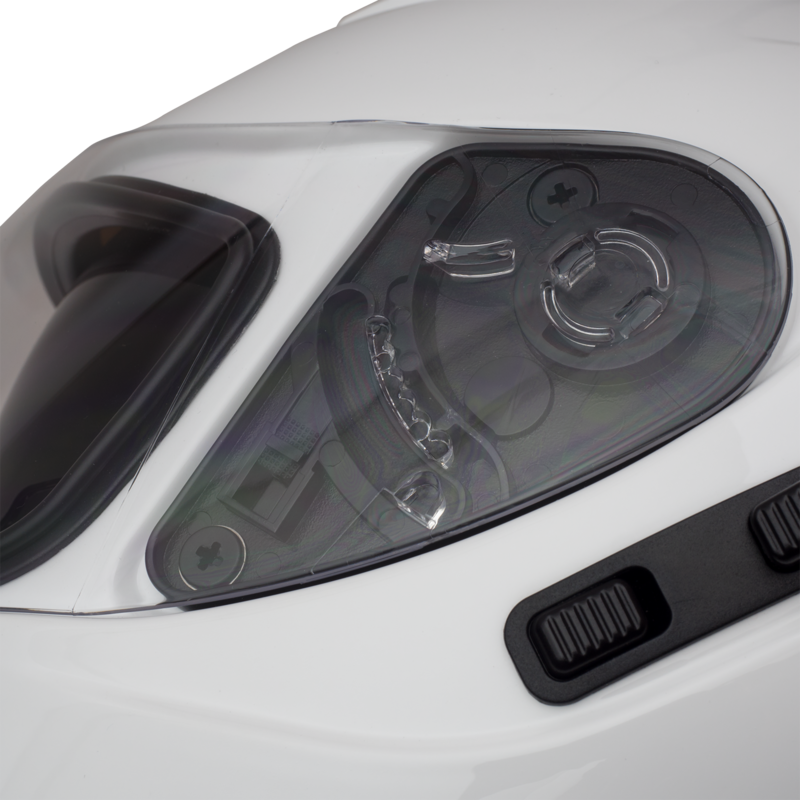 Full selection of clear, smoke and mirror shields available for all light conditions. We also offer replacement liners, cheek pads, and a bevy of other misc. parts and pieces. Our support goes way beyond your initial purchase. 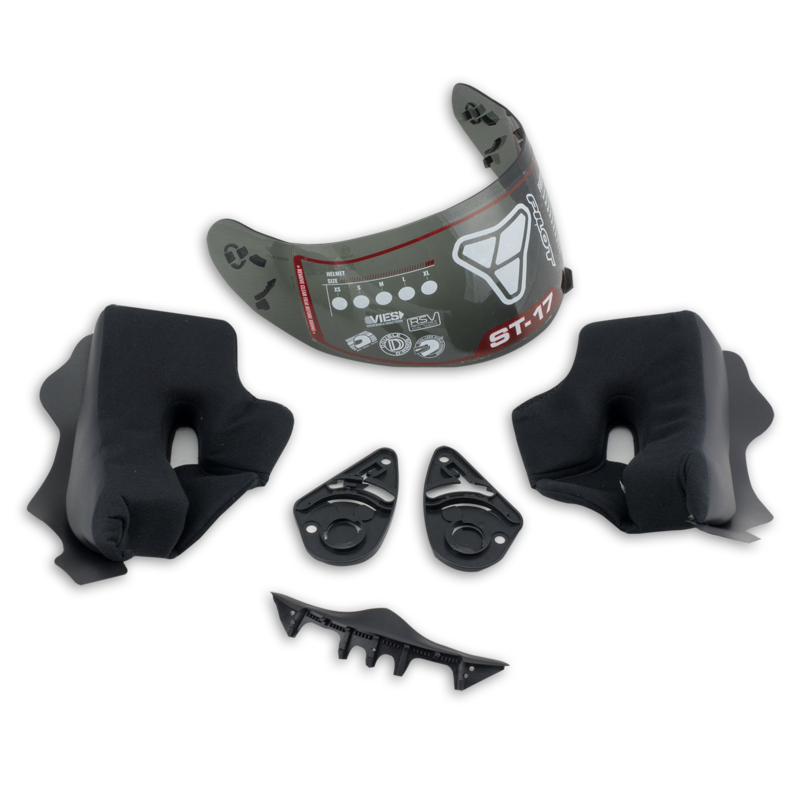 Shield changes are made simple with our TSC shield change system. Simply open up the shield gate switch, line up the shield and pop it out. Instillation is just as easy. Inner Liner High quality soft-touch fabric with mesh inserts and dense foam padding. Documentation User manual and warranty card.